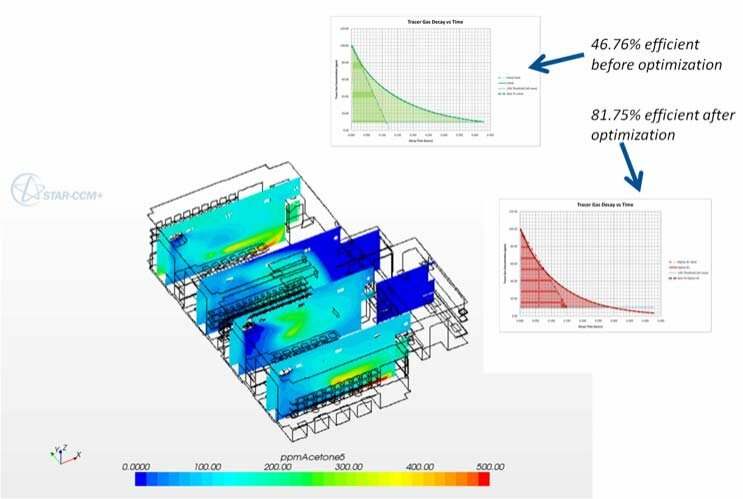 CFD studies can be utilized to optimize office environments for comfort, Indoor Air Quality (IAQ) and energy efficiency simultaneously. 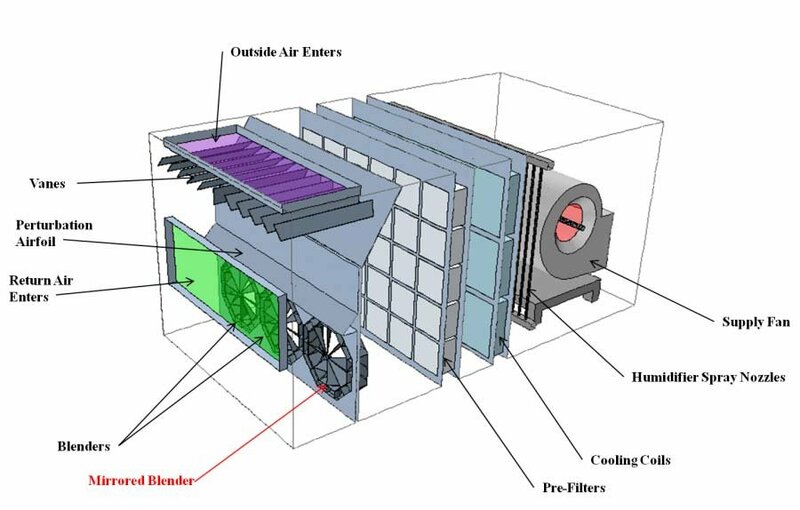 Some of the unique challenges that exist in these spaces often include the effects of windows during different seasons, a more noticeable sensation of high speed supply air, temperature stratification (especially when comparing a sitting person to one who is standing), and finding a balance between energy efficiency and comfort. Also, office spaces tend to have higher heat and moisture loads than many other spaces because of the number of people in the office as well as the effects of electronics such as computers, printers and copiers.